The story is about Nikos who is working as a painter. His boss asks him to carefully clean a garage made of asbestos cement sheeting with a damp cloth. 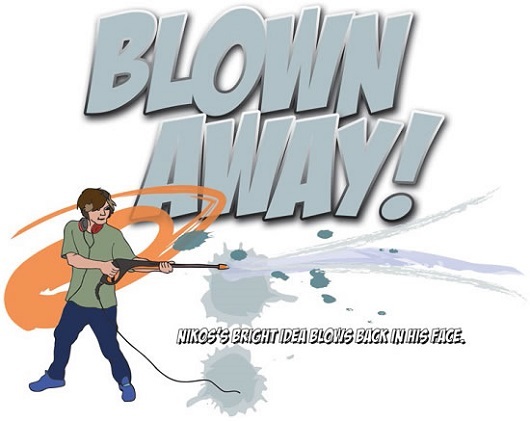 Nikos decides to save time and effort and use a high pressure washer causing particles to scatter around the garage and into a neighbouring house and nearby air conditioning units. A VWA inspector arrives and closes down the worksite suspecting asbestos contamination. The story is based on similar events in 2011 in a Melbourne suburb.